Tuesday will mark a busy day of open testing at Nashville with at least three ARCA teams on hand – Venturini Motorsports, Cunningham Motorsports and Team Crosley. Series veteran Tom Hessert will be on hand for Venturini Motorsports along with newcomers/rookies Christian Eckes and Cole Williams. Eckes, from Middletown, N.Y., is just 15 years old. Williams, currently a sophomore at Indiana University Southeast, is already well known at Fairgrounds Speedway Nashville, having earned the Pro-Late Model track championship there in 2014. 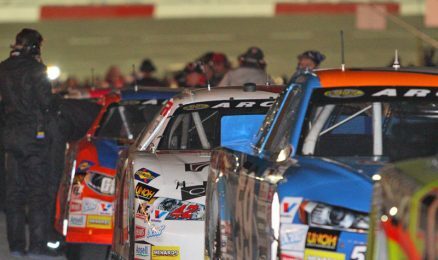 Both Eckes and Williams would be making their career-first ARCA attempts at Nashville. Cunningham Motorsports will be joining the Venturinis March 22, testing both of the team’s full-time drivers – Chase Briscoe and Kevin Thomas. Both Briscoe and Thomas opened the season with solid runs at Daytona, finishing fourth and seventh, respectively. Both are making their career-first attempts at Nashville. Team Crosley is also on the card for Tuesday, with driver Bo LeMastus. LeMastus, driver of the No. 42 Crosley Brands car, finished sixth in the Daytona opener, a career-best finish for the Louisville, Ky. driver. 2016 Lucas Oil 200 at Daytona winner John Wes Townley is marked on the calendar for two days of testing on Wednesday and Thursday (March 23-24) in his No. 05 Athenian Motorsports Chevrolet. Ken Schrader Racing, with driver Matt Kurzejewski in the No. 52 Ansell-Menards Toyota, will be joining Townley for testing on Wednesday.